This course builds on Jack Soper's Introduction to Podcasting course, offering a more in-depth look at what makes great audio and ways to achieve it. Jack will share and discuss format ideas and audio creation techniques for those who are looking to extend their podcast offering. 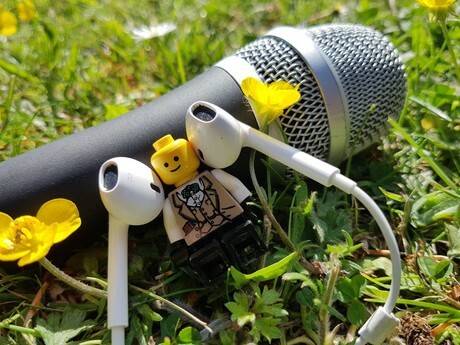 From creative ways to tell stories in sound, to innovative production methods to keep your audio fresh, this course aims to tune-up your podcast and take it to the next level. Delegates will also get a chance to share and receive feedback on audio they have created, plus there's an opportunity to go further with audio editing and mixing. Attendees are invited to bring a piece of audio they have already published, or are currently working on, to discuss as part of the training. You will be contacted in advance with details. Publishing strategies and maximising supporting content. The course content will be adjusted to best respond to the requirements of the group and will be supported by practical exercises throughout. This course is aimed at those with some prior social media experience. It is not suitable for total beginners. Jack Soper is a trainer and producer with over 15 years of experience in media. He trains journalists and content producers in smartphone reporting and produces content for BBC Radio and Online outlets. He is also a visiting lecturer in media and journalism at City, University of London, and University of Westminster. In 2013, he won the Gold Sony Radio Academy Award for his audio promotions.